Recover Brands is a proud member of the I HEART PISGAH coalition, and they have just launched a special I HEART PISGAH t-shirt collection to support our efforts. You can buy t-shirts directly from Recover Brands here. These shirts are made from 100% recycled materials and are available in three different color options. All are sustainable, eco-friendly options that look good and feel good. Recover Brands is donating proceeds from the sales directly to I HEART PISGAH. Thanks to Recover Brands for supporting our work and making these shirts available to our supporters. Find out more aboutRecover Brands’ I HEART PISGAH collection here. 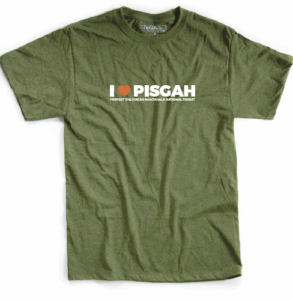 Grab an I HEART PISGAH shirt today and help share the love for our forests.